Pilates is renowned for improving core strength, flexibility, balance and muscle tone. But many newcomers wonder if they should be rolling out a mat to do their Pilates, or strapping into a reformer — the equipment developed by Pilates creator Joseph Pilates. 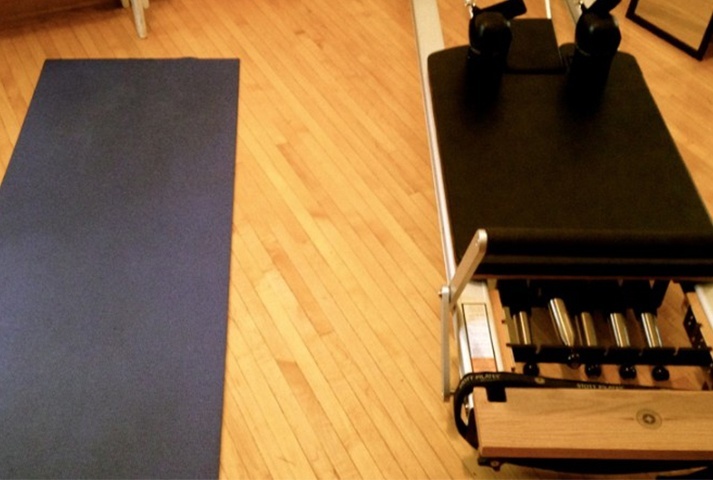 So, what’s the difference between mat and reformer and which should you choose? The fact is they’re both fantastic for developing core strength and toning muscles. But they do so in different ways. Here’s the lowdown. Mat Pilates is a floor-based form of Pilates, where you use your own body to create the resistance needed to build a strong core. Props such as bands, weights, balls, and rings are also often used to diversify the moves. If you’re new to Pilates, it’s a good idea to start on a mat, so your core muscles” – your abdomen, back, hips, and glutes, learn control without the help from the resistance a reformer provides. Within a few months of weekly practice on a mat, you’ll see improved strength, posture, agility and flexibility, along with toned muscles. Reformer Pilates offers something a bit different to mat Pilates, as its practiced on a machine that looks like a bed frame with a sliding carriage, ropes, pulleys and springs. Most reformers have five springs, which, when combined, add up to a considerable amount of resistance. You can perform very basic to highly advanced exercises in any position on the reformer, by adjusting the springs / pulleys. The reformer acts as a bit of a support system for the body, making it ideal for those with recovering from injury, or with limited mobility. The short answer is no, they are simply different. Whilst drawing on the same principles, both forms provide a fantastic whole-body workout. So, why not give them both a try? Call Rima on 0794 782 2911 / 0208 579 7879 to book your classes today.